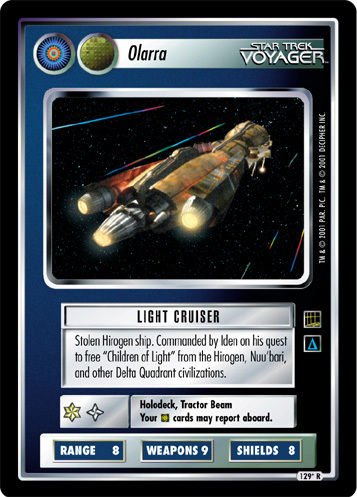 Stolen Hirogen ship. 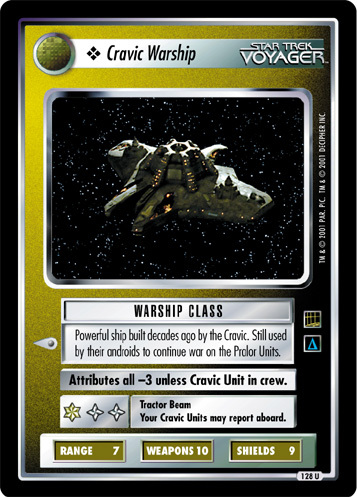 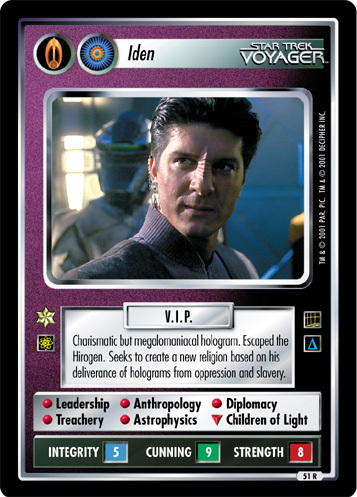 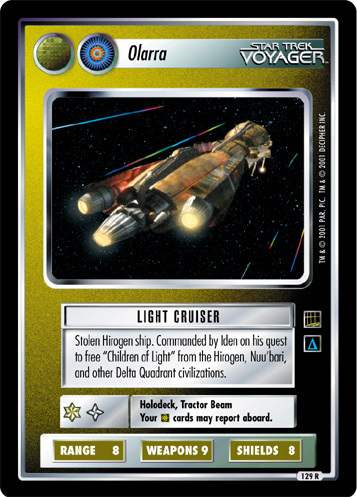 Commanded by Iden on his quest to free "Children of Light" from the Hirogen, Nuu'bari, and other Delta Quadrant civilizations. 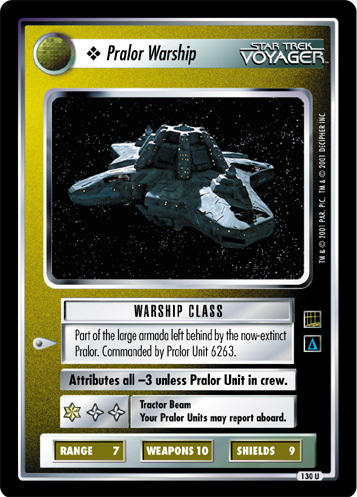 Your cards may report aboard.